A darling sidekick for all your adventures. 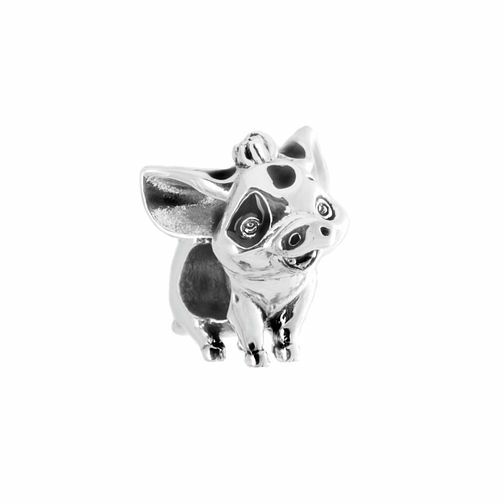 Pua the pig is made of richly detailed sterling silver with a light ox finish. Discover all the ways to express yourself with one of a kind jewellery that reflects your life and experience. Inspired by your personal sense of style, Chamilia jewellery is as unique as you are. Chamilia Disney Moana Sterling Silver Pua Bead is rated 5.0 out of 5 by 2. Rated 5 out of 5 by Anonymous from Pua Chamilia bead-great! I had been looking for this particular bead for ages. It was so great to find it and at a brilliant price. A great addition to my Chamilia bracelet and charm collection. Fast, no hassle ordering and delivery.